Expect a busy year ahead in Toms River, officials say. The township council and officials are preparing to make numerous decisions on the future of Toms River, while simultaneously planning to deal with what could be a damaging loss of state aid. As a whole, the township will deal with two major issues this year, but will also take a moment to reflect on the township’s history. Dunes: Breaches in the ocean dune line devastated the Ortley Beach section of the township during Superstorm Sandy, and larger breaches in the island propelled enough water into Barnegat Bay to flood tens of thousands of homes in Toms River and neighboring communities. 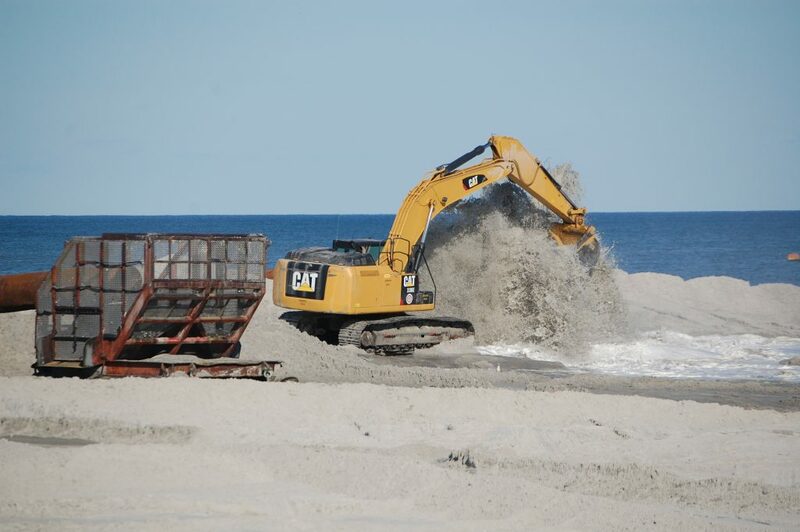 Councilwoman Maria Maruca, whose ward encompasses the barrier island portion of the township and numerous bayfront communities, said a contract to build a long-awaited protected dune should be awarded later this month. In November, North Jersey-based Weeks Marine was declared the apparent low bidder for the project. The company bid $128,820,433 to complete the project, which will include a 22-foot vegetated dune and at least 200 feet of beach berm in front of it. Thus far, the Army Corps is still in a due diligence phase, examining the three proposals that were received. Maruca said it was her understanding that after a contract is awarded, the bid specification imposes a 90 day start-up, virtually guaranteeing the work would begin before the summer. After a contract is awarded, the contractor will choose the schedule to determine which towns receive replenishment first. “We’re really close to the finish line, and I’m really looking forward to that press conference with the DEP when those contracts are awarded,” Maruca said. Master Plan: Toms River officials are expected to complete the new master plan, which was the subject of public hearings – and much public discussion – in 2016. The master plan, which needs to be adopted by the planning board as well as the township council, effectively sets a blueprint for how the township should be developed – or preserved – going forward. At the hearing, residents raised numerous concerns over how Ortley Beach would develop with new building codes in place, but the largest concerns came from the opposite side of town, where homeowners have been worrying over what they see as overdevelopment in the northwestern portion of the township. Many homeowners have urged the township to preserve single-family home zoning in North Dover and neighboring sections, which was the subject of controversy last year when the township adopted a cease-and-desist policy toward realtors – many with ties to Lakewood’ Orthodox Jewish community – who were accused of “blockbusting” tactics. The master plan may also deal with the redevelopment of Route 37 east of Fischer Boulevard and the future of the former Ciba-Geigy property. Taxes: Faced with a ratable base still turned on its head by Superstorm Sandy, Toms River raised taxes by 5.5 percent this year, after receiving a $2 million grant from the state to help bridge the gap between the former tax base and the still-damaged base. In previous years, the township received about $8 million in aid. This year, there is the possibility of zero state aid being offered, which will force officials to make difficult decisions. Meanwhile, the cost of salaries and benefits are rising, and the school district is negotiating a new contract with teachers that could ultimately affect taxes on the school portion of residents’ tax bills. “Our budget is going to be affected by a lack of state aid,” said Councilman George Whitmann. 250th Anniversary: On a brighter note, Toms River is celebrating its 250th anniversary as a municipality this year. The celebration kicked off last month at the Christmas tree lighting, and will continue with events throughout the year. Councilman Maria Maurca said the township created a logo for the celebratory year and is looking to have it included on beach badges this summer.